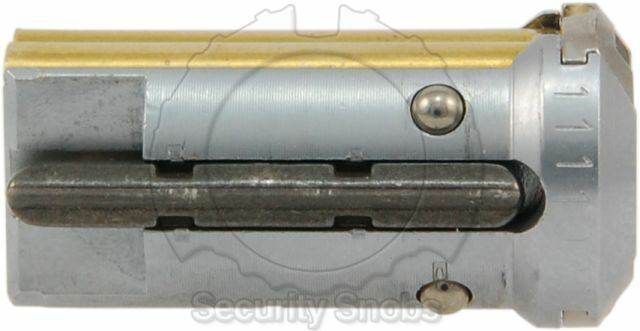 This is a spare core for any BiLock QC locks. It allows you to easily swap in this new core using the control key. Having a spare core on hand can be useful in emergency situations to rekey your locks without having to wait for a new lock to arrive. 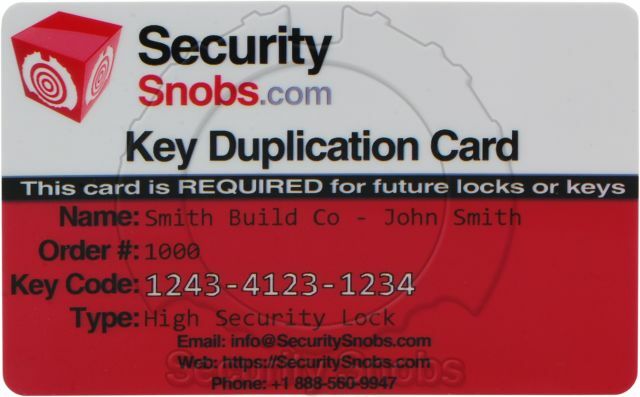 It is also frequently used by customers needing to temporarily allow another key to access a lock or lock out an existing key. 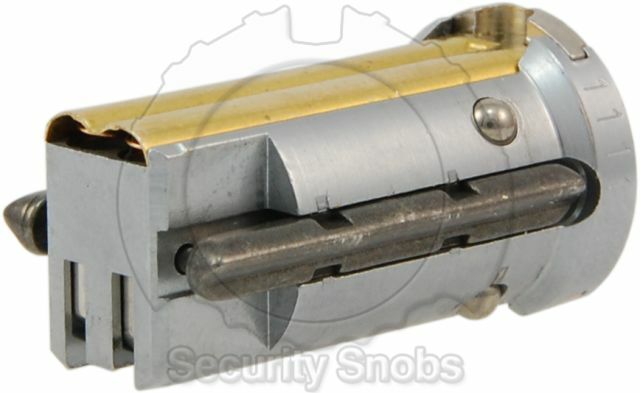 Note this only works with BiLock QC locks. There are two primary key types/systems for BiLock: EX / QC both are part of the New Generation (NG) BiLock system. Each key type also influences the build of the lock itself. Not all locks support all key types, however most locks do support both. The EX is BiLock's original key type and has no specific features. The primary key type is BiLock's innovative Quick Change Core (QCC) system. The QCC system is an interchangeable core meaning that in addition to the standard operating keys you have a control key. With the control key you are able to remove the core of the lock and insert the core from another QC lock (or spare core). This process can be done in under 30 seconds and without removing the lock from the door or requiring any tools. Some customers have even used the QC system on their homes and businesses to change out their door locks for sitters, maids, or construction workers. For more details please see our Choosing A Brand page. 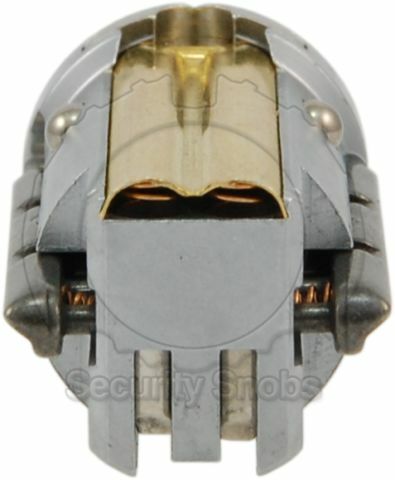 Any QC lock will come with one control key and one operating key. When ordering additional QC keys please specify the key type (control or operating) in the notes field on the final page of checkout (where you enter your credit card) otherwise we will assume they are standard operating keys. QC cores can be purchased separately on our BiLock Extra QC Core page. There is no real reason not to get an QCC lock even if you do not plan to use the QC system now you at least have that option for later. BiLock officially also has the First Gen and EX short / D9 systems, while we do not show these as a product option they are in stock and contact us if you need one of these systems. Master Keying and Keying Alike are both services we are happy to offer however they do require that all the locks are the same key type (EX/Ex Short/QC). We are able to key your locks alike(to the same key) during ordering at no cost. 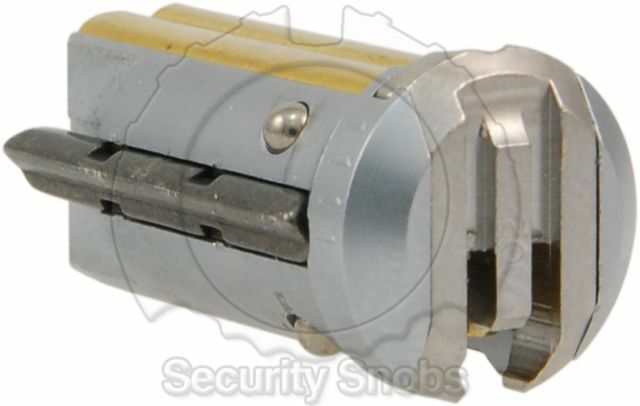 We can also master key(see our Master Keying Page) your locks starting at $15 per cylinder. 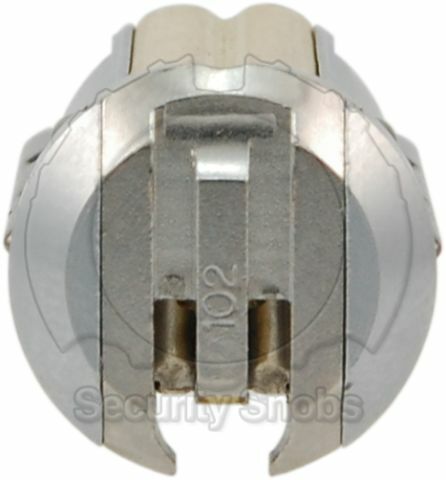 Keyed alike means that if you order two padlocks and a deadbolt from us we can key them all to operate on the same key. To order two or more locks keyed alike, just select "keyed alike" under keying for each lock and all locks that are the same color will be keyed the same. During checkout there will also be a notes area and you can comment on how you want the locks keyed if you wish to provide additional clarification. It is important to note that when keying alike you do not get more keys for each lock you order, just the initial lock's number of keys. This means no matter if you order 2 or 5 padlocks keyed alike, you will only get 2 keys total. If you require additional keys just order extra keys. There is no additional charge for keying alike. Master keying can allow you to allow some keys to open some locks and other keys to open all locks. You can specify your desired master keying in the notes area when checking out, or you can simply put a note in to call, and we will call you to discuss your needs. If you are looking to have locks or keys to a previous order please see our keyed to a previous order page. 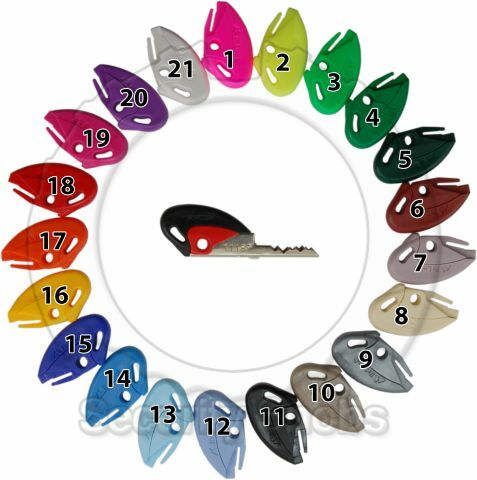 BiLock keys can have various multi-colored key heads. The key head is actually made up of two different parts, an inner part and an outer part. They can be the same or different colors. Please note when ordering extra keys you are ordering extra keys per lock. This means if you select 3 extra keys and then order a quantity of 2 locks you will get 6 extra keys. To order the correct number of extra keys you can divide the number of extra keys by however many locks you are ordering and put that under extra keys. The other option for extra keys is to add a quantity of 1 of the item you are ordering to your cart with the correct number of extra keys, and then go back and add however many more of the lock you want with 0 extra keys. It will mean you have to pick the options for the product twice, but will ensure you get exactly how many keys you want. Keyed different is the standard way of ordering locks, each lock you order will come with its own unique keys that will not work with the other locks. We can also master key / key alike your locks if you would prefer that. The BiLock key color allows easy identification of different BiLock keys you may own. If you look in the product pictures you will see a picture outlining the possible choices and their color code. BiLock keys are made up of two colors, a primary outer color and a secondary inner color. BiLock Extra QC Core was successfuly added to your shopping cart. You can browse for more products or proceed to checkout.